Today, the Western Shugden Society pointed out more of the Dalai Lama’s shameful conduct that has been revealed in the US Embassy Cables leaked by Wikileaks. The cable releases reveal that the Dalai Lama’s secret army received a steady stream of new recruits from the Tibetan Children’s Village Schools. As the cable says: ‘Membership in Establishment 22 was compulsory for Tibetan students graduating from Tibetan Children’s Village (TCV) schools until the late 1980s’. These schools were set up for the destitute children and orphans amongst the Tibetan refugee community with international aid donations. Visit the Western Shugden Society website to read the full article. Michael Parenti – Dalai Lama is not all he’s cracked up to be? In this interview, Michael Parenti reveals the truth about the history of Tibet and the Dalai Lama. His new book God and His Demons exposes the dark side of the Dalai Lama. This is a new version of a video I posted previously. This version is a little better. Below are links to the articles and news videos included. Is the Dalai Lama a religious dictator? The truth about feudalism in Tibet and the Dalai Lama’s connections with the CIA came out in this Russia Today interview with the historian and author Dr. Webster Tarpley about the Dalai Lama’s upcoming meeting with Barack Obama. 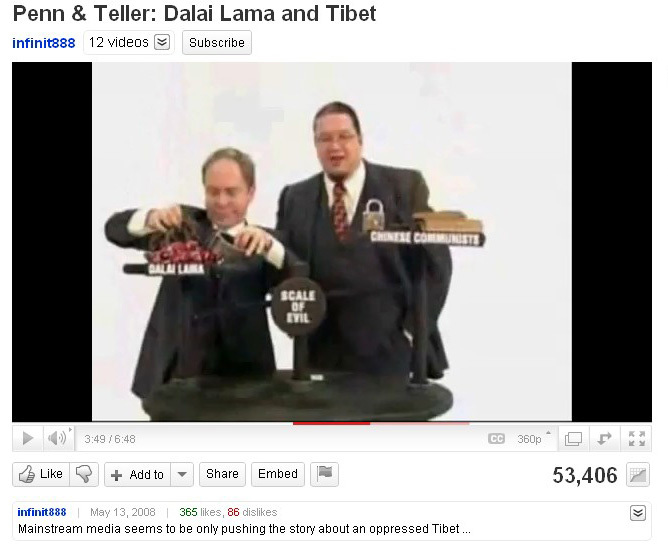 The text from this video comes from the section entitled The Dudjom Rinpoche Affair from the book A Great Deception – The Ruling Lamas policies by the Western Shugden Society.